PAST CONCERTS & EVENTS - Russian chor "Weisse Nächte"
Our choir performed a series of successful concerts - in Zurich and Tägerig in Switzerland as well as in different places along the Volga river during a Wolga-trip from Moscow to Astrakhan with a ship. Now we are in a short summer break and will get together again for choir rehearsals on 3rd of September. If you have any questions, don't hesitate to contact us using our contact form. Проезд: метро Третьяковская и Новокузнецкая. at the free ápero are guaranteed! at the free beer are guaranteed! cordially invites you to a concert "Zugabe". Concert in the center of Zurich - do not miss to see us! cordially invite you to a charity concert. 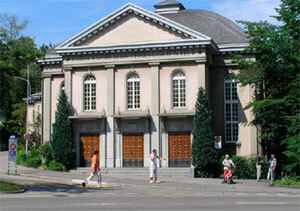 The choir will perform works by Rachmaninoff and folk songs. 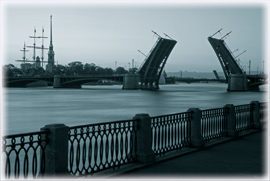 other countries have accumulated experiences of their ancestors from the Second World War. from this time. An impressive appeal against all forms of nationalism and war-mongering. 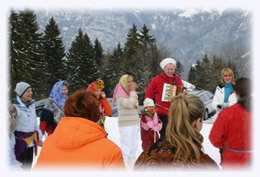 The Russian Choir "Weisse Nächte" invites you to celebrate Masleniza (carneval) in the mountains (Flumserberge). The actual start of the celebration is around 12 o`clock. If you prefer to stay longer and enjoy skiing or the like you can book a room in a neighbouring hotel. & the charity organisation "Camaquito"
The choir will perform works by Rachmaninoff and folk songs. Additionally you will be able to enjoy a trio with classic Cuban works and a duo with Afro-Cuban folk music. We kindly invite you to read the article on www.schwingen.net about the celebration of Masleniza (Carneval) with the russian choir "Weisse Nächte". The Russian choir "Weisse Nächte" was invited to take part in the ARTVENT program of the Art and Culture Association Pic-o-Pelloon the third Sunday in Advent. After the 21th windows of the great advent calendar was opened by the artist Gilgi Guggenheim (St. Gallen), we sang Russian songs. It was a wonderful evening! Benefit concert in favor of the retirement home project in Ukraine. The Russian Choir «Weisse Nächte» Zurich invites its friends to a unique joint project with the Bolschoi Don Kosaken Choir and the Symphonic Orchestra Zurich. On the programme are Russian and Ukrainian folk songs as well as impressive orchestra works by Tschaikowsky, Borodin, Glinka and Schostakovich. The actual start of the celebration is around 12 o clock. alle Grenzen, mit einer Russlandtournee per Schiff und mit den schönsten Liedern aus den Heimatländern der Mitglieder. Brasilien, Argentinien, Mexiko, USA, England, Deutschland, Schweiz, Ukraine, Weissrussland. Am Samstag, 06. 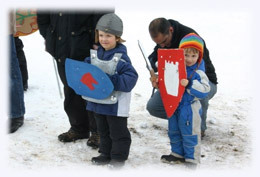 Dezember 2008 tritt der Chor "Weisse Nächte"
Am 25. 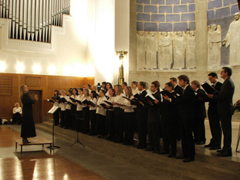 September 2008 tritt der Chor "Weisse Nächte"
im Volkshaus Weisser Saal am Abend zum Gedenken an A. Suworow auf. Beginn um 18.30. Das Abendprogram finden Sie auf www.russischeshaus.ch. concert in Ref. 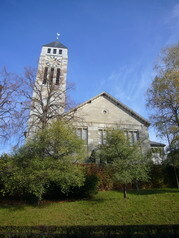 Kirche Oberstrass. concert in the Offene Kirche St.Leonhard. Christmas concert in the church of St.Peter and Paul, Andermatt. Celebration of the International Women's day at "Latino Palace" club with participation of the folk group "Bereginia". Christmas concert for the members of the Rotary Club Zug. Performance at the traditional Christmas Market in Luzern. Fund raising Christmas concert. All donations will be transferred to hospitals in Russia and Ukraine, where children sufferring from cancer, kidney diseases, leukemia and immune diseases are treated. Page generated in 0.109662 seconds.